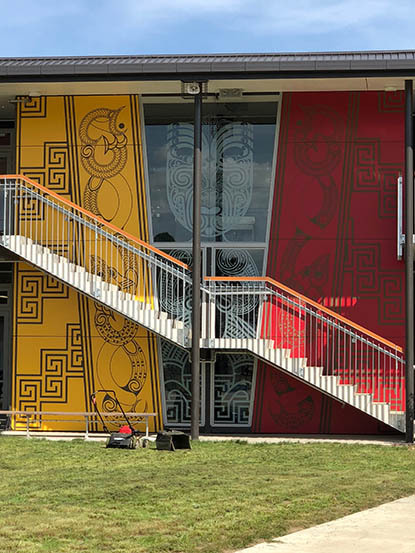 The rebuild of a year 1 to 13 Māori-medium school for 400 students on a greenfield site adjacent to the existing kura. The teaching spaces are designed as innovative learning environments, with the buildings around a central courtyard / ātea. Cultural narratives particular to mana whenua and the kura have been incorporated throughout.